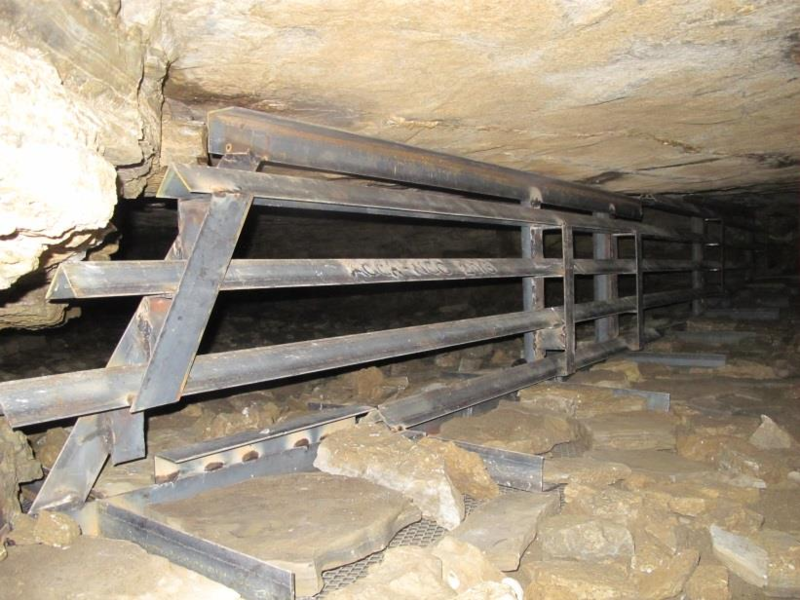 In 2013, The New York State Office of Parks, Recreation and Historic Preservation contracted with Kennedy Above/Under Ground to construct a bat gate in a cave known to harbor the federally endangered Indiana Bat (Myotis sodalist) at John Boyd Thacher State Park, just west of Albany, NY. Located at the bottom of a shear cliff ranging from 40 to 100 feet in height, accessible only from the top, our first task was to coordinate the delivery of over a ton of structural steel to the worksite. Once there, the gate was to be designed and constructed 75 feet within the cave, which maxed out at a height of about 3 feet. 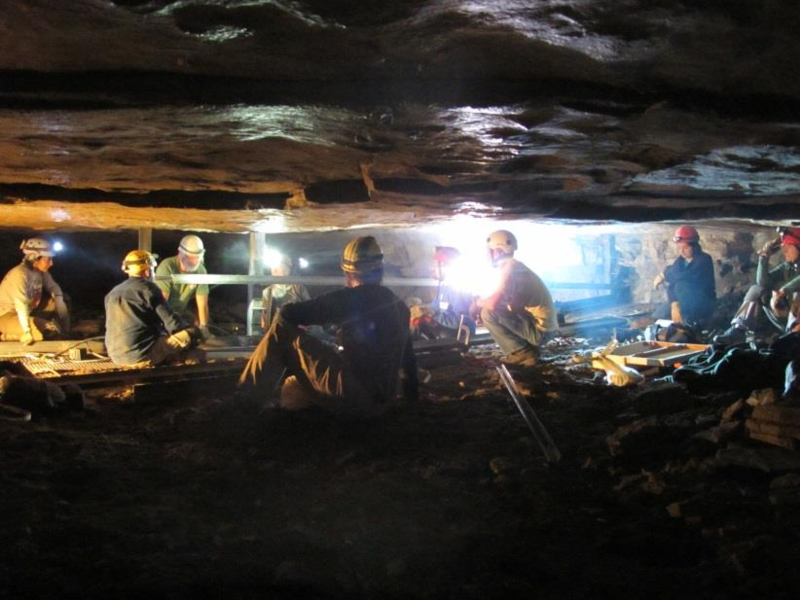 The agency had built bat gates in the past with in-house crews, however, the logistics of the Hailes Cave site prompted the agency to seek expert assistance. Jim provided that expertise and then some! With only a few conversations, basic location dimensions, and some site pictures to go by, Jim was able to develop a plan for access and provide an accurate materials list which was assembled prior to his arrival on site, speeding construction time. 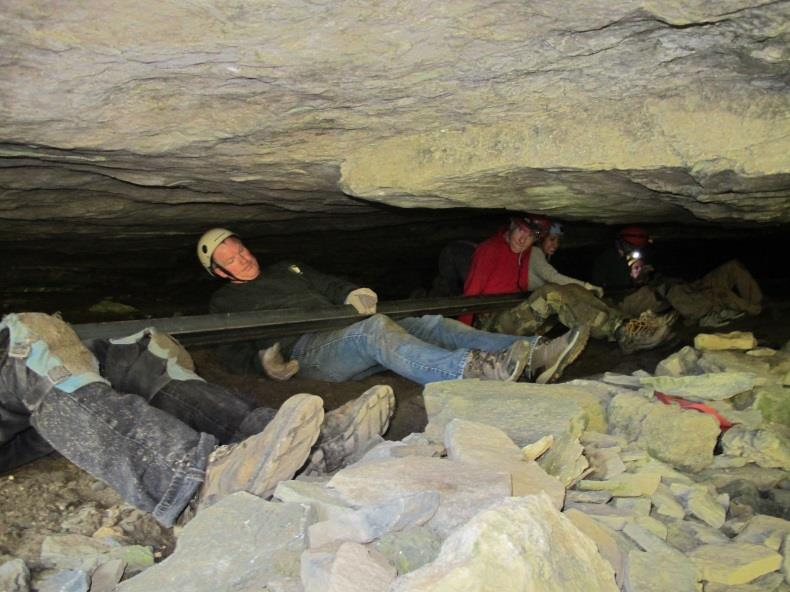 Also prior to his arrival, Jim recruited local caver volunteers to help with the project. Once on site, Jim quickly adapted his plans to effectively transport the materials and equipment to the cave and construct the gate. 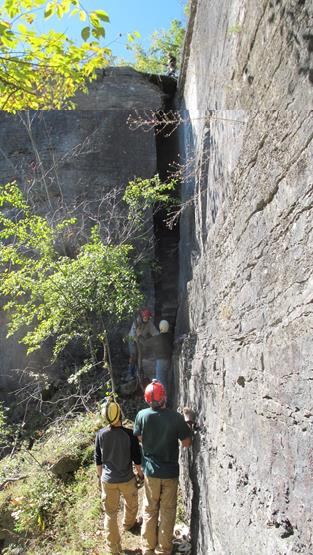 After some trail creation along the base of the cliff, the crew used a narrow crack in the escarpment wall to negotiate the elevation change. Thanks to a brief yet effective training by Jim, the crew learned how to effectively manage large pieces of structural steel and were able to carry all of the materials to the site by hand. At the cave site, Jim designed the gate on the fly. With no suitable work site at the base of the cliff, Jim effectively relayed the necessary gate components to workers on the top of the cliff, which were then delivered to the construction site by the volunteers. Working with a local welder, Jimâ€™s gate design yielded a custom-fit structure that both established a robust protection for the bat populations and met the parkâ€™s needs for esthetics (invisible from the cave exterior) and access for monitoring purposes (a protected, lockable entrance). State Agencies are very familiar with utilizing volunteer support to perform much needed work. However, volunteers are seldom asked to do things of a technical or difficult nature. When this project was proposed, utilizing mostly volunteer support, and in a short timeframe under difficult conditions, many were not optimistic. However, thanks to Jimâ€™s expertise, hard work, and leadership, he made a believer out of a lot of people.